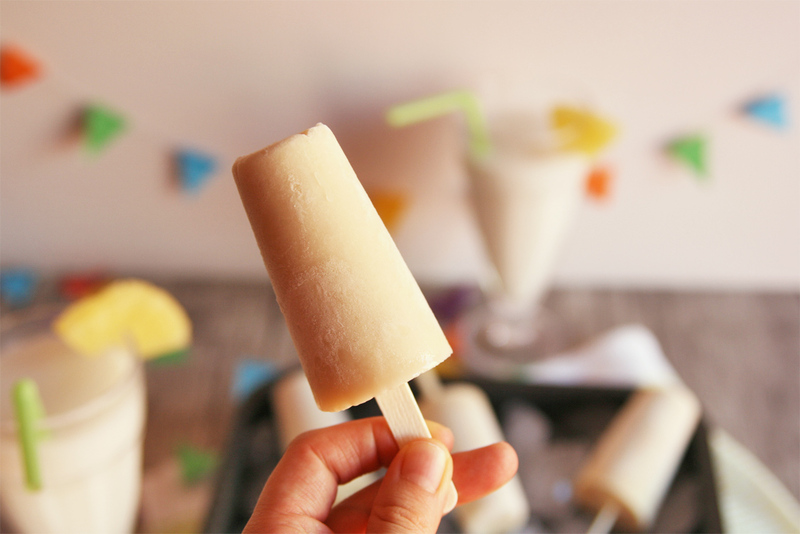 Can't think of a better way to beat the summer heat than enjoying a homemade popsicle while chilling at home, or even better laying down by the pool. 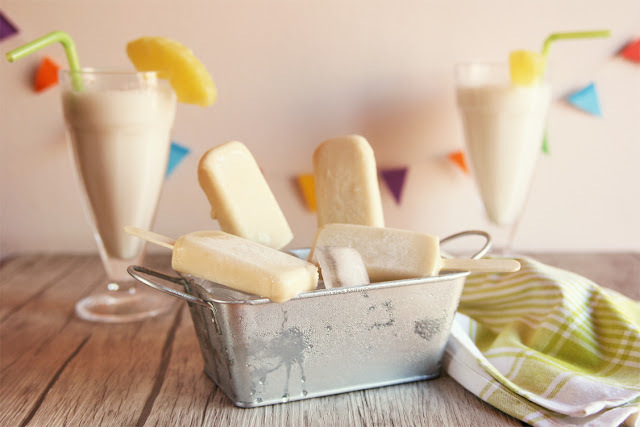 But really, these easy Piña Colada pops will help you cool down on very hot days and they are super tasty, creamy and good for you! 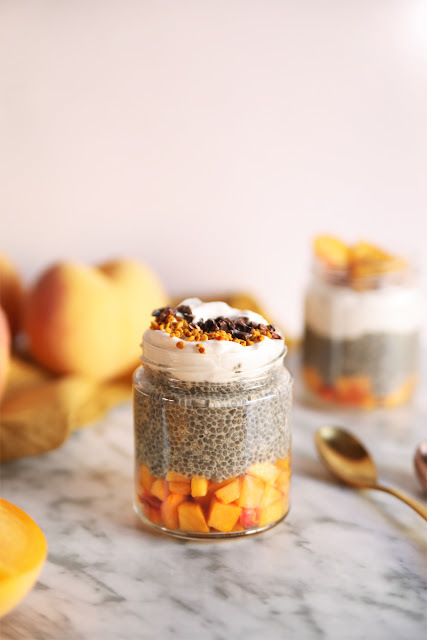 No refined sugar, no fats, just sweet fresh fruit and creamy coconut milk. 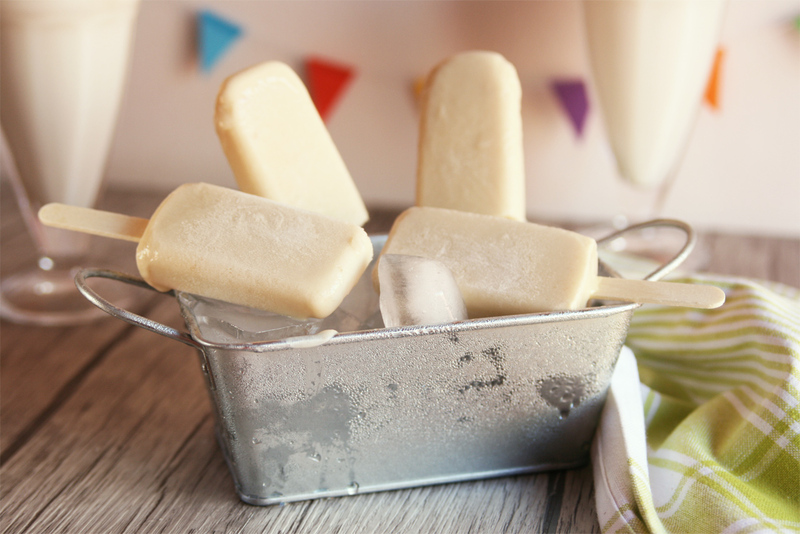 You just need a little bit of patience until the pops harden but that's all, you'll whip up these cuties in just 5 minutes. I didn't add any sweetener but you should taste the mixture once you have blended all the ingredients and check the level of sweetness, depending on how ripe your bananas are and the brand of canned pineapple you use you might need to add a small amount of liquid sweetener like agave syrup, pure maple syrup or my latest summer addiction, coconut syrup. 6 slices unsweetened canned pineapple. Optional: liquid sweetener of choice. Cut the pineapple slices into medium chunks. Remember to also cut the bananas into chunks before freezing them, this way the blender will easily crush them as if they were ice cubes. Taste and add your favorite liquid sweetener, if desired. 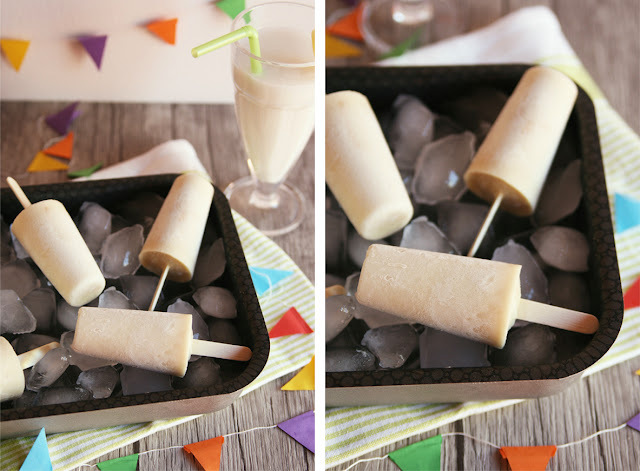 Pour the mixture into popsicle molds and freeze until solid. If using sticks, insert them in the molds when the pops are partially frozen, after 1 hour approximately. 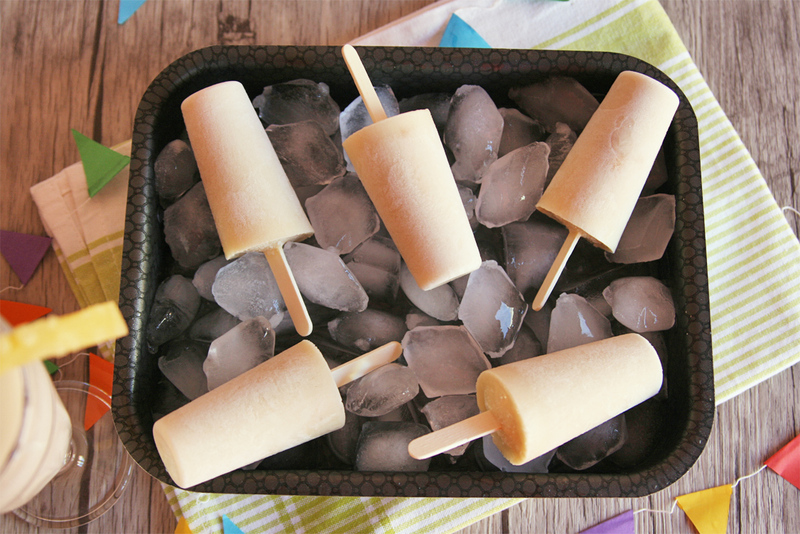 To unmold simply let the pops sit out at room temperature for a few minutes or run the mold under water. I love these photos almost as much as I love the recipe. 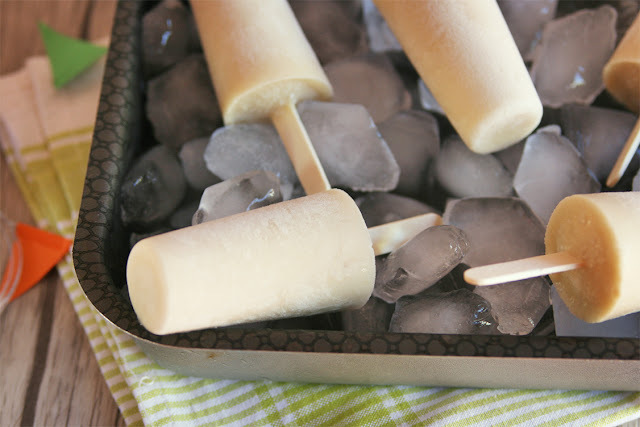 I'm so glad I tried it out the other day, because it's been so hot lately, I might be melting without them! Thanks for sharing this sweet treat. Thanks a lot lovely girls! 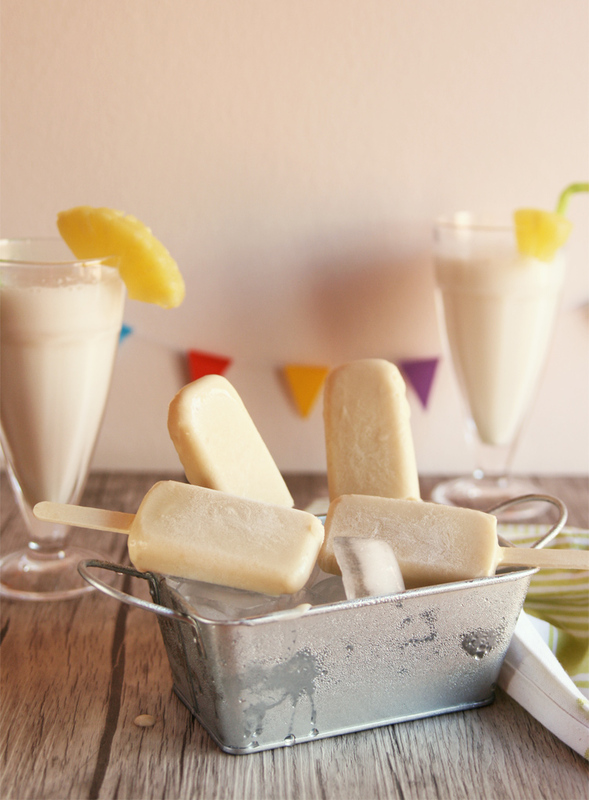 There's no better way to overcome a heat wave than chillin' at home while enjoying one of these pops.